Doctor Raykhman is a well known, board certified urologic surgeon with advanced specialized training in cosmetic surgery. He is also a co-founder of the New York Urologic Institute, home of NY Labiaplasty. After graduating with honors from the State University of New York at Buffalo Medical School, Dr. Raykhman went to receive numerous accolades for outstanding scholarly achievement and excellence in surgery. With thousands of satisfied patients, Dr. Raykhman performs all aspects of his surgical practice with deliberate attention to matching a woman’s natural beauty to the appropriate procedure she desires. 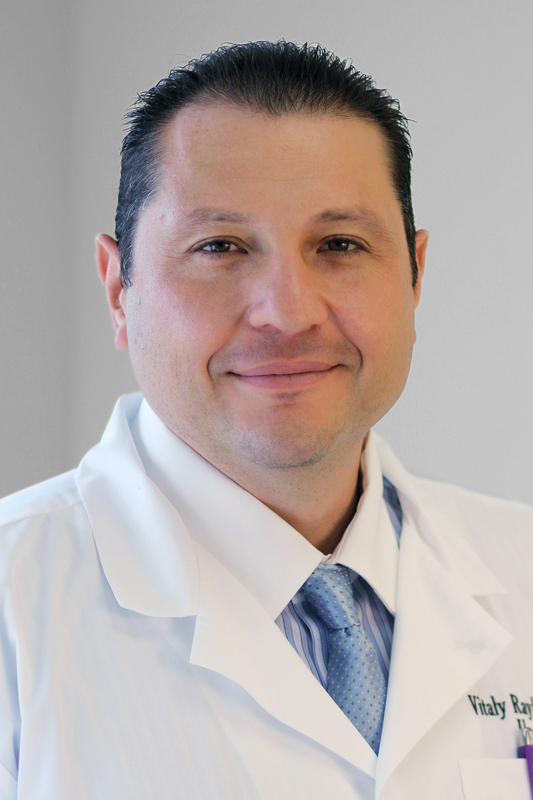 His expertise in the field of urology and cosmetic surgery, combined with the plethora of resources offered at the New York Urologic Institute, make NY Labiaplasty an undisputed leader in feminine cosmetic surgery. In recognition of his accomplishments, Dr. Raykhman was named America’s Top Urologist of 2009 and 2010. Furthermore, he received the prestigious Patient’s Choice Award in 2011. With Dr. Raykhman as your surgeon, rest assured that you’re in good hands. You can request a female nurse practitioner to be present at your consultation if that will make you feel more comfortable. Compassionate and knowledgeable Lyudmila Emag practices exclusively at the New York Urologic Institute. Prior to joining NYUI, Ms. Emag served as a Nurse Clinician at the NYU Medical Center where she received diverse nursing experience that included anything from day to day patient care after surgeries to a roll off charge nurse. As a member of the Society of Urologic Nurses and Associates, Ms. Emag is fully committed to patient care. She handles medical problems that may arise during the course of your healing process, and as such, is instrumental in helping design a procedural plan to meet your needs. With Ms. Emag as your practitioner, rest assured that you’re in good hands. Like Medical Doctors, Nurse Practitioners are professionals that are nationally certified in their specialty area and licensed by the state in which they practice. A Nurse Practitioner (NP) is a registered nurse with an advanced university degree. NPs are recognized as expert healthcare providers and are able to provide the same care as a Medical Doctor, such as diagnosing, treating, evaluating and managing acute and chronic illness and diseases, as well as prescribe medications.